March came in like a lion in Vermont, and we hope it goes out like a lamb. In the meantime, we can celebrate St. Patrick’s Day with great books from Irish authors (and Irish Canadians). Thank you to our superb friend and great author Sarah Stewart Taylor for your recommendations; we are so looking forward to reading your next book, which we know is partially set in Ireland. 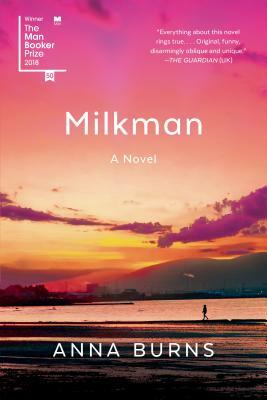 Milkman: A Novel by Anna Burns(2018). We highly recommend listening to the audio version of this Man Booker award-winning book. Not only does the narrator’s irresistible Irish accent transport the listener to Belfast in the 1970’s but her conversational delivery invites the listener into this difficult story of an18-year-old being sexually harassed by a much older man (the eponymous “milkman”). The author’s intentionally long, run-on sentences are delivered in a way that the listener is able to sink in her teeth and truly feel the Terror in Ireland – though the decade is never directly named – a time when partisan politics came to a head (think America modern day), infusing daily life with bombings and fear. This book makes one wonder if the shaming of accused women will ever change or if perhaps continuing to spotlight an awareness of this timeless storyline will ultimately lead us to an age of equality. The Dubliners by James Joyce (1914) – If you’ve ever wished to get to know Joyce in a more casual “meet and greet” kind of way before committing to a multi week journey with him through his denser works such as Ulysses and Portrait of the Artist as a Young Man, this is the book for you. It is a stunning collection of short stories that concludes with his most famous (nearly) novella “The Dead.” There are echoes of the voices of Tolstoy and Chekov in these cautionary tales, many of which deal with themes of memories, regret, missed opportunities, and times gone by. It is fascinating to consider that Joyce wrote this work in exile while living in Trieste, a city where he spent most of his adult life, given how effectively he captures poignant scenes of middle class Irish life in the late twentieth century. 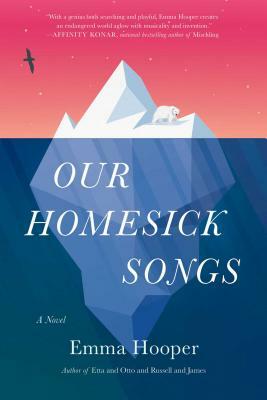 Our Homesick Songs by Emma Hooper (2018) – The fish have left Newfoundland and so has pretty much every person in this lovely hopeful novel about how things change. 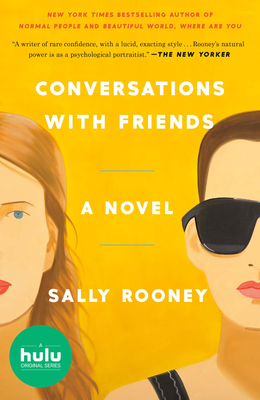 As the New York Times said “Lyrical…the town is filled with magic, and so is Hooper’s writing…Our Homesick Songs is a eulogy not just to a town but a lifestyle – one built on waves, and winds, and fish, and folklore.” We include it here as the novel is peopled by Irish Canadians, and because sometimes you just need to read a book that leaves you hopeful about the human spirit. Thank you Susan Voake, retired elementary school librarian extraordinaire and current superb indie bookseller for this recommendation. To finish, we highlight some Irish recipes from our local gem of a bakery King Arthur Flour – Irish Soda Bread and Irish Brown Bread. Long may we all bake and read. As March roared into Vermont like a lion (and seems prepared to roar again with yet another nor’easter tonight), we asked our favorite booksellers to review the one book they are recommending right now. It is our hope this list will help those of us in the Northeast enjoy the next snowstorm a little more by adding a few reasons to curl up by a roaring fire, and that it will also help those of you who reside elsewhere find your next great book to read. Thank you Norwich Bookstore Booksellers. As always, your selections have added to the stack of books weighing down our bedside tables. This Will Be My Undoing by Morgan Jerkins (2018) – Honest and enlightening, Jerkins’ debut essay collection is just what I wanted it to be– short bits that allow me to sit with a topic for awhile before plunging straight back in for more. There are surprising points of connection, but more importantly I’ve learned about black culture and her experience with men, hair products, and the Black Lives Matter movement. It takes courage to write about one’s life at such a young age. The shortest passages “How to Be Docile” and “How to Survive” pack a gut punch. They may be small, but they are fierce. That last line is everything. It gives me the inspiration to keep writing, keep pushing, keep reaching. The best essays teach and inspire in equal measure, Jerkins is one to watch. The Grave’s a Fine and Private Place by Alan Bradley (2018) – Oh, how I love the mercenary mind of 12-year-old Flavia De Luce. Like Louise Penny and Laurie R King, Alan Bradley succeeds in writing mysteries whose nuanced characters drive the story as much as any plot-device. The ninth book in this series is no different. The young chemist with a fondness for poisons, is accompanied by her two sisters and Dogger, the family friend/servant, on a boating trip, when she almost immediately hooks a body. Not just any body- this body is the son of a notorious poisoner- just the thing to rapturously distract our macabre little heroine from the enormous loss her family is (in their reserved, very British way) attempting to reconcile. Days Without End by Sebastian Barry (2017) – Sebastian Barry (in my opinion, Ireland’s best living writer) won the Costa Prize for this mesmerizing novel. It is filled with the travails, loves and adventures of an Irish immigrant to America in the mid-1800s who survives the Indian Wars, the Civil War and Andersonville Prison. It’s violent, but then so was that era in America’s history. This is stop-you-in-your-tracks writing, and you learn a lot about what it was like to be Irish then. Smitten Kitchen Every Day: Triumphant and Unfussy New Favorites by Deb Perelman (2017) – I love this cookbook. I’m reading it like a book of short stories. The little essays describing how she came to develop the recipes draw me into her cooking mindset. The recipes themselves are quite approachable, and the ones I’ve already made came out beautifully. I especially appreciate that she provides alternate methods for ingredient prep and doesn’t assume, for instance, that everyone owns a food processor. Disappointment River: Finding and Losing the Northwest Passage by Brian Castner (2018) – A book filed with historical content and present day adventure. In 1789, Scottish explorer and fur trader, Alexander MacKenzie set out to find the Northwest Passage, a shorter route to China. In 2016, Brian Castner began a 1,124 mile journey in a canoe to retrace MacKenzie’s earlier trek in search of that missing waterway. Great read for that cathartic wilderness experience of suffering from your armchair. The Rabbit Listened by Cori Doerrfeld (2018) – When we are upset, it is important to be heard! Often our well-meaning friends try to sooth, distract, or even plan revenge. What we need is a Rabbit in our lives: some one who is present, who listens, who understands, rather than trying to fix things for us. An important book in these times of breakage and shouting; an oasis of healing and comfort. The uncluttered illustrations pair perfectly with the simple text creating a clear yet complex tale. Personal History by Katharine Graham (1997) – I came to this absorbing memoir after seeing the recent film, The Post. Although written 20 years ago, this Pulitzer Prize winning biography remains a strong and insightful read. Graham reveals she spent most of her first 40 years as a shy, insecure person. After the suicide of her husband Phil Graham, the publisher of The Washington Post, Katharine took the helm. She played a monumentally important role in shaping our nation’s history as she quietly guided the paper through many turbulent years, including exposing The Pentagon Papers and Watergate. This is a frank, honest and courageous account of a woman who found her sense of self in a man’s world. To me, she is a remarkable role model. Winter Sisters by Robin Oliveira (2018) – Oliveira’s second novel about a spirited and determined woman, Mary Sutter. Her first offering, My Name is Mary Sutter, about the young Mary, an experienced midwife who, against immeasurable odds, trains to be a surgeon during the Civil War, won the Michael Shaara Award for Civil War Fiction. This book, also beautifully written, has a sinister slant. Mary, now an established physician with a successful family practice leads the citizenry of Albany in a desperate, exhaustive search for two missing girls, sisters lost during a cataclysmic winter storm. Also lost are their parents in sweeping tragedies of snow and flood that nearly destroy the local lumber mills. Intrigue, politics, and finally, grit get the girls back to the Sutter home. Tenderness and love temper their mistreatment and recovery. An untried attorney skillfully puts the pieces of the case together and sensitively draws out the girls’ account of what happened. During a climactic prosecution, the perpetrator is discovered and a raw justice is served. Haunting but ultimately satisfying. The Taster by V.S. Alexander (2018) – Berlin 1943: Twenty-five year old Magda Ritter’s parents send their daughter to relatives in the countryside of Berchtesgarden to wait out the war. But Berchetesgarden is the site of Adolf Hitler’s mountain retreat. Magda’s aunt and uncle are passionate Nazis and believe every true German must serve the Fuhrer. With limited jobs available in the small town, they pull their few strings to get Magda an interview with the Reich. Several weeks later she is working for Hitler – as one of the tasters who will sample every dish prepared for him. Based on the life of Margot Woelk, who kept her wartime occupation a guarded secret until she was 95 years old, and peopled with fictionalized versions of other inhabitants of Hitler’s intimate household, this historical novel presents the final years of the war from the German perspective. 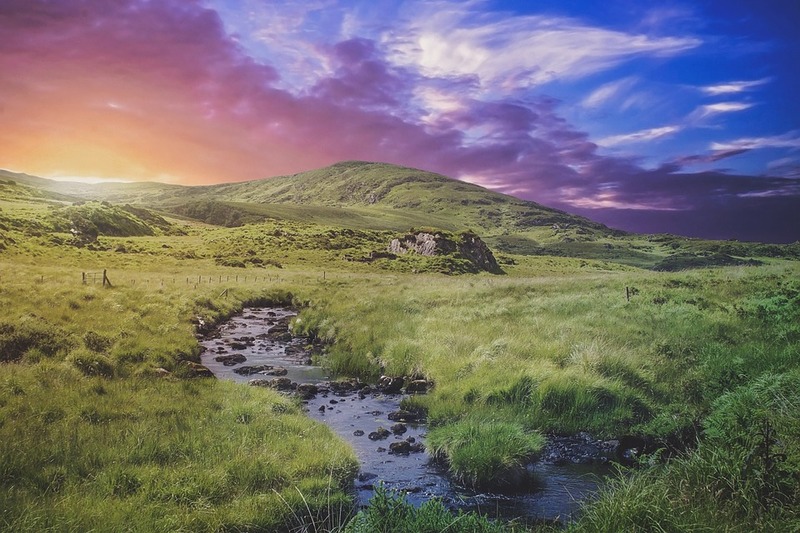 Loyalty, love and betrayal – to oneself, one’s family and one’s country are key themes which resonate in 2018.